We are exceptionally proud to have been shortlisted for not one, not two but THREE Install Awards at the 2017 event. This Install Awards are held annually by Installation Magazine and recognises excellence across the entire pro-AV industry. The awards focuses on the best projects in the last 12 months and the people who have made them happen. It offers a mix of networking, celebrating and, most importantly, recognising the achievements of the AV market across the globe. The Retail / DOOH Project of the Year category covers the overlapping worlds of retail technology and digital out-of-home technology. It is recognises excellence in the field of retail / DOOH. The first project embed signage is shortlisted for is Roche Bobois, carried out by reseller, AVMI. 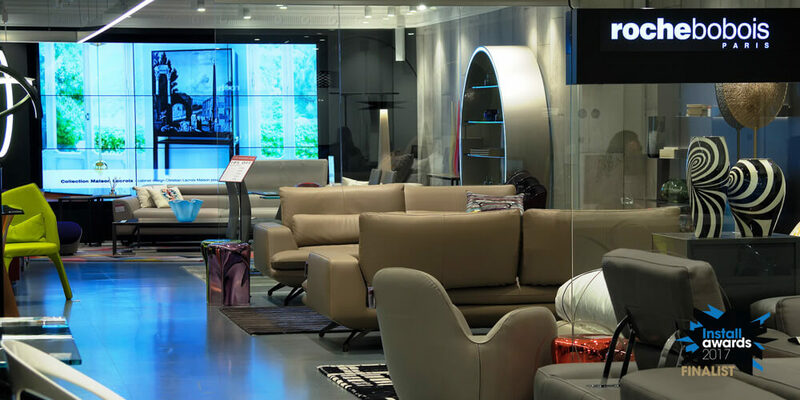 AVMI, are a Global AV integrator and worked with a luxury French design company, Roche Bobois to digitally upgrade their Harrods, London Showroom to celebrate their 50th Anniversary. The project also includes a 75″ Samsung Smart Signage Platform display to showcase videos of Roche Bobois products being designed and built by hand. Read the full case study here or here. 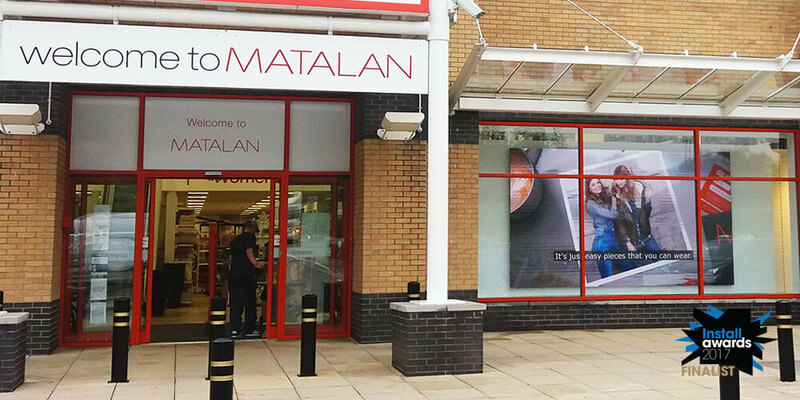 The second project embed signage is shortlisted for in the Retail/DOOH Project of the Year category was carried out by Eclipse Digital Media for MATALAN. MATALAN were seeking a big impact for the launch of their new Homestore and commissioned Eclipse Digital Media to provide a solution. The solution provided was a 4m x 2m LED video wall in their store front window to drive footfall. The Rising Star awards is for people under the age of 30, or who have been working in the industry for less than three years, who have made a major impact. 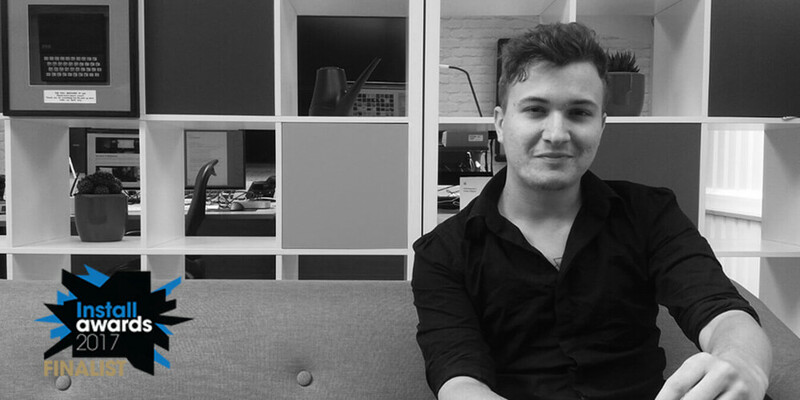 Daniel Cruickshank is on of our Full Stack Developers and has been part of embed signage for a number of years – almost since it started. He has been integral to the development of the platform along with application development for supported devices such as Samsung Smart Signage Platform, Chrome OS and Windows. Still only 22 years old, his technical skills are matched by his positivity and ‘can-do’ attitude that he applies to everything he does. Creatively, he brings new ideas to the table and keeps an analytical / measured perspective to prioritise workloads and focus on improving the software. He constantly meets the demands of development roadmap targets and provides support to resellers in using the software. A truly worthy finalist for the Rising Star Award. The awards ceremony will be taking place on Thursday 29th June 2017 at Millennium Gloucester Hotel, London. We will be posting live updates from the event on our Twitter and Instagram feeds. You can also get involved with conversation for the event using the hash tag #InstallAwards and handle @Install8ion.